Some people get to live happily every after. Others don’t. Which group will Sophia end up in? One of the things I liked the most about this story were the plot twists. There was at least one of them that I didn’t see coming in advance. It was fun to be so surprised by it, especially once I realized where the author was going with it. This part of the storyline was handled nicely, although I can’t say anything else about it without giving away spoilers. There was quite a bit of telling instead of showing. It was difficult to immerse myself in the plot because I felt as if I were hearing a third-hand account of what happened instead of seeing it unfold in my imagination. This came as a surprise to me because it wasn’t something I noticed in the blurb. Had this tale been more specific and descriptive, I could have easily picked a much higher rating as the premise itself was fascinating. The chemistry between the characters who were involved in the romantic subplot was well done. As soon as I realized who these people were, I was curious to see how the author was planning to handle their budding romance. Ms. Derr wrote it well, though, and I will definitely be keeping an eye out for what she comes up with next. Will there be a sequel? I don’t know, but I would be even more interested in reading her next book if it she somehow manages to mention what happened next to these characters in it! 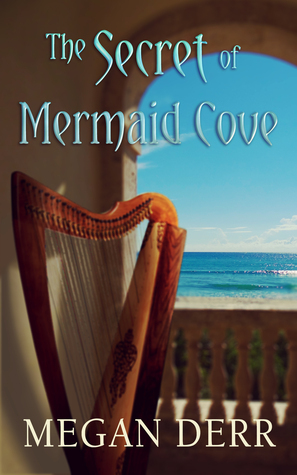 The Secret of Mermaid Cove is a good choice for anyone who really likes mermaid fiction.